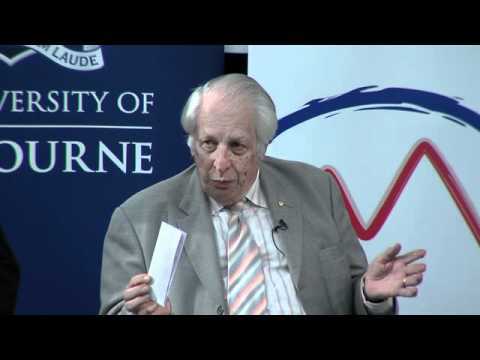 Sir Gustav Nossal served as Director of The Walter and Eliza Hall Institute from 1965-96 and was also Professor of Medical Biology at the University of Melbourne. He has contributed globally to significant research in fundamental immunology and has written eight books and more than 500 scientific articles. Sir Gustav Nossal has been President of the World Body of Immunology, the Australian Academy of Science, and Chairman of the Committee overseeing the World Health Organization’s Vaccines and Biologicals Program and the Strategic Advisory Council of the Bill and Melinda Gates Children’s Vaccine Program, amongst others. Throughout his preeminent career, Sir Gustav Nossal has shown a lifelong commitment to translating medical research into improved health for all, for which he was recognised as Australian of the Year in 2000.